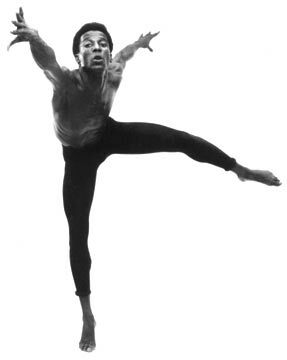 Nettleford in 1965. Photo by Maria LaYacona. Jamaica has lost its equivalent of Alvin Ailey, Studs Turkel and Mikhail Baryshnikov, all wrapped in one. Rex Nettleford, the luminary dancer, choreographer, cultural historian and bon vivant who co-founded Jamaica’s National Dance Theatre Company and provided its artistic direction, died Tuesday at George Washington Hospital in Washington, D.C., according to news reports. His death came a day before what would have been his 77th birthday. Nettleford, who was on a fundraising trip, suffered a heart attack at a Washington, D.C. area hotel on Jan. 27. Nettleford was a tireless traveler on behalf of his cultural causes. His last Twin Cities visit was for a February 11, 2008, speech at Macalester College. With fellow dancer Eddy Thomas, Nettleford founded Jamaica’s National Dance Theatre in September 1962, a month after the former colony gained independence from Britain. He built the company into an international favorite that embraced vernacular music and dance, which he sometimes melded with ballet and other styles. He often dealth with historical subjects, including the Middle Passage in a piece called "The Crossing." Nettleford, who wrote numerous books, had an abiding faith in the power of art and performance to change souls. “The underlying thing was using dance to explain to ourselves and the world who we are, and to celebrate the African presence in the shaping of a Jamaican/Caribbean ethos," he told the Jamaica Gleaner. He was also a social activist who advocated for colonial reparations. In his Twin Cities visit, he said that he was not interested in trying to quantify the exploitation and pain that colonial powers such as Britain inflicted on places like Jamaica. Nettleford’s death comes give months after that of prominent Jamaican playwright Trevor Rhone, who died in September. Bettye LaVette & Mavis Staples live: Holy wow!